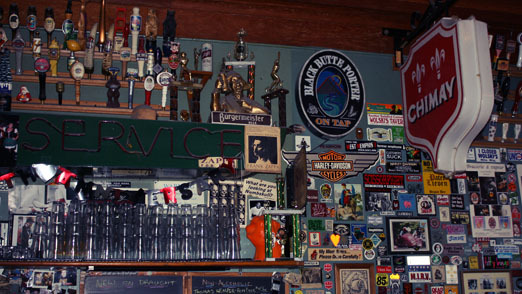 Once you arrive and push the salon-style swing doors, you walk into a Mecca, a drinkers haven. 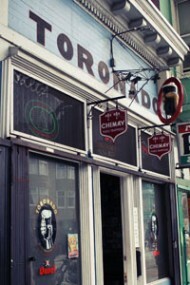 I’ve been coming to Toronado for several years and I must say, this place never loses its hold over me. I love their selection of beer. The Pliny’s are always fresh and the Belgian ale selection is phenomenal , plus they have a “bottle” list for beers- to- go (which is quite impressive I might add). Ask the bartender for it. The scenario for the first time visit. You arrive. The parking is hard to come by, but you manage to find a spot a few blocks away from the place. You come upon it , but if you blink, you can pass it. Quick hint: Look for a small group of smokers hanging out. You’re there. You notice a few things. First, it’s pretty dam dark. The smell, it’s…well, lived in, and the place is pretty packed. You get a spot, mark it and make your way to the bar. Don’t forget, this is a CASH only place. There is small ATM machine in the corner if you want to fork over a few extra bucks for the convenience. Never wave your bills at the bartenders. Just a rule. Next, take in the wonder of all the beers on tap and just plunge! My review? I love this place. Pure and simple. They have a Barley Wine Festival in February that is well known throughout the United States and draws in hundreds. Brewer events can be found on the event calendar on a regular basis and if you live and breathe beer? You’re home. This is pretty awesome stuff! San Francisco is full incredible places to drink great beer and eat great food…oh and you guys get so many different brands of beers there from all over. Almost a mecca for everything. 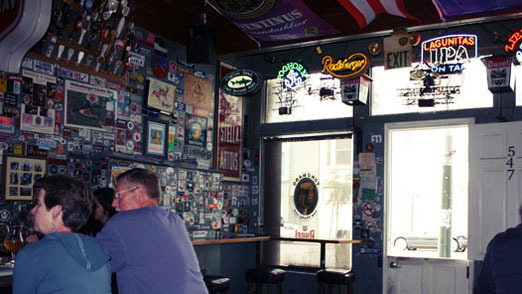 I like the look of this place (from what I can tell from the pictures)…it’s almost like a dive bar, pub mix. Cool!